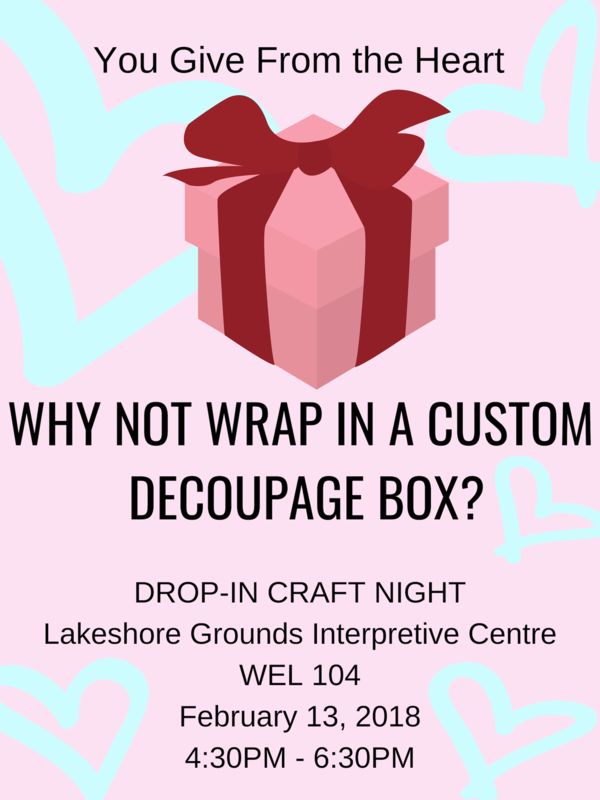 Please join us for our monthly drop-in craft night. This month we will be making decoupage gift boxes. If you’re giving a gift from the heart this Valentine’s Day, why not wrap it in a box that’s also truly from you?